Note: This is a guest post by Aileen Passariello-McAleer, co-founder of MamaLingua for The BilingualRisers campaign. I was raised in a Spanish-speaking household. Although I heard Spanish throughout my childhood, I rarely responded in Spanish. I didn’t know how important my language was to me until I got pregnant and decided that I wanted to raise bilingual/bicultural children. I really didn’t think about it in those terms; I just remember telling my husband that I wanted our son to feel connected to my heritage. But it was more than that. I wanted him to understand that the world is not limited to the one that surrounds us day to day, but that there is a world beyond our borders – in different countries, with different customs, and different languages. By learning Spanish, more of that world would be available to him, and he could know it on a more intimate level. I didn’t want my child to live in a cultural bubble; I wanted him to see the world how I saw it. I didn’t know the challenge I would be facing when my son was born. I remember calling my mom and asking her about basic vocabulary for things around the house, as I narrated to my son. I forced myself to speak only Spanish to my parents to enhance my fluency and recall, and I implemented a Spanish-only policy at home – except when it was just me and my husband. Over the past six years, my Spanish has improved tremendously. 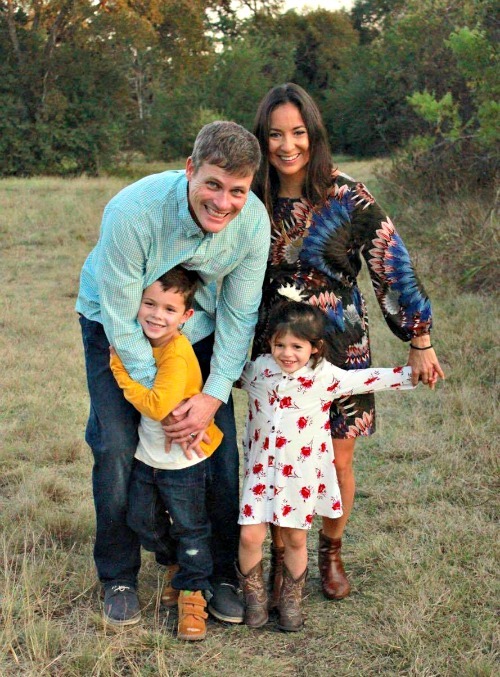 My children are bilingual, and one shocking result: so is my husband! My husband has been immersed in Spanish since our son was born. In the house, he hears Spanish being spoken every day and in context. If he ever needs translation, my children usually communicate for me, and he has never complained. Instead, he has embraced our bilingual home and has begun to incorporate more Spanish into our daily routines with our kiddos. I’m very proud of my bilingual/bicultural family. It’s taken a lot of hard work and consistency, but I can see the impact it has had on my children. My son knows about Venezuela, where my mom is from; Italy, where his Nonno is from; Mexico, where his cousins live; and if you ask him, he’ll tell you he speaks English, Spanish and Italian. My daughter is still very young, but Spanish is her language of love. When she meets someone who speaks Spanish, she quickly embraces them in a hug, because for her, Spanish speakers are familia. This summer, we’re taking our bilingual family to Mexico and immersing them in a different bubble – one where Spanish is spoken all around them. I’m excited to see them grow in this experience – and I’ll be sure to report back in the fall. App is currently on sale for the month of May for the reduced price of $1.99.